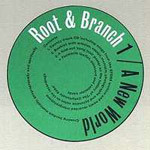 'Root & Branch' is a music journal published by the EFDSS twice a year. It aims to focus attention on the folk tradition and includes a full-length CD, articles and essays, facsimiles and photographs in a package. This first edition is built around songs that tell of the experiences and emotions of people when they are uprooted geographically, spiritually and musically. "Van Diemen's Land" is also known as "Wild and Wicked Youths". This song has crossed many borders. There are three different virsions (Irish, Scottish and English) on this CD. Cara's version was recorded in 1999. For this recording, she learnt the melody and words principally from a virsion by Tim Lyons. Her interpretation invites comparison with track 02 (Enock Kent's) and track 19 (Frank Hinchliffe's).